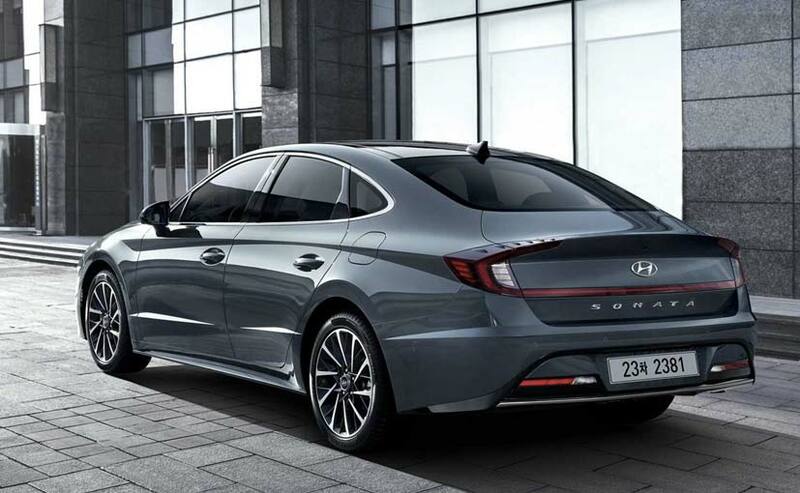 The eighth generation Hyundai Sonata opts for a four-door coupe design language while sporting larger proportions and more tech onboard than its predecessor. 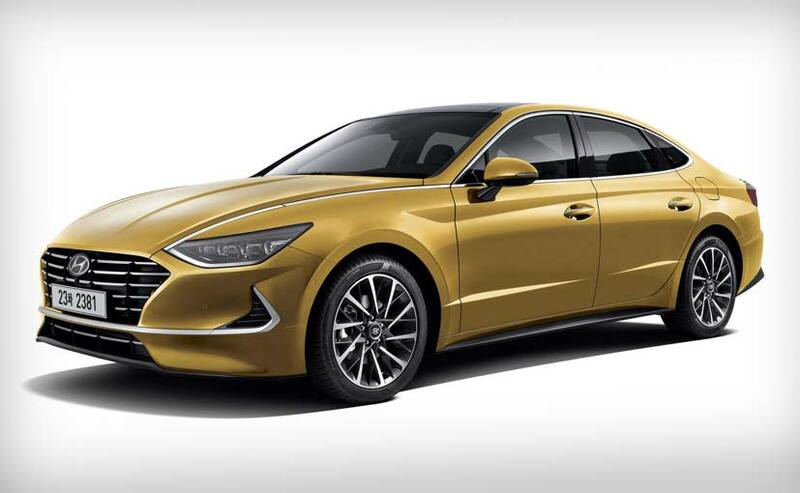 Snatching some attention from the exhibits at the ongoing 2019 Geneva Motor Show, Hyundai has pulled the wraps off the eight generation Sonata sedan. 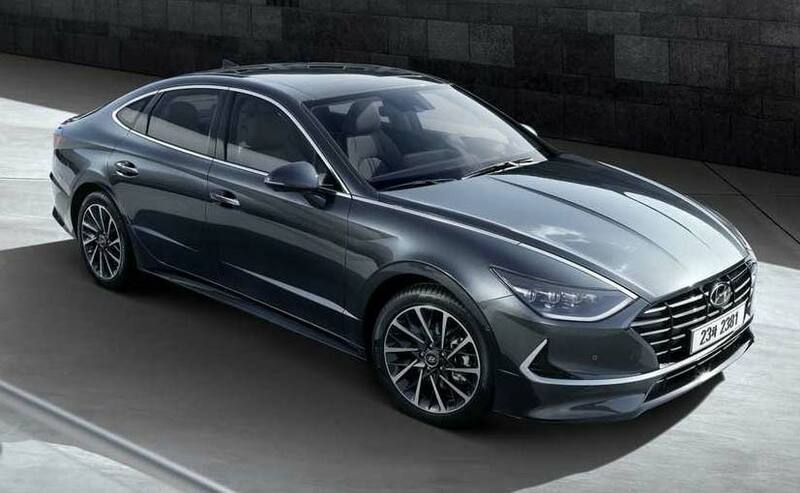 The 2020 Hyundai Sonata has been revealed in images ahead of its public debut at the New York Auto Show next month. The all-new model takes shape after the Le Fil Rouge concept that was revealed at the Geneva Motor Show last year and sports bolder lines, imposing grille and more tech than its predecessor. The new offering is also larger in proportions translating into a larger cabin. The Hyundai Sonata is a familiar name on Indian streets as well and the manufacturer has brought different generations of the sedan to the country from time to time. The eight generation Sonata could also make its way to India in the future. The new generation Hyundai Sonata mimics the concept closely and brings freshness to the model. Hyundai says the 2020 Sonata gets a fresh styling approach termed as 'Sensuous Sportiness', which transforms the model into a four-door coupe. The massive cascade grille is imposing up front with slimmer headlamps that are all LEDs. The Sonata also features hidden lighting lamps that appear to be of a chromic material when switched off and become dramatically lit when turned on. Hyundai Design Center - Head and Senior VP, Sang Yup Lee says, "A short overhang, sloping roofline and low deck lid create a balanced feel, and Hyundai's signature chrome accent now goes all the way into the hood, making it look even longer." 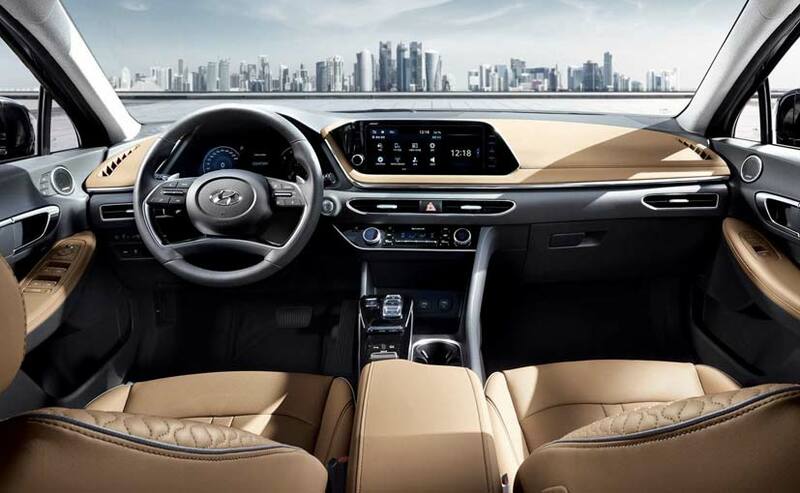 With respect to dimensions, the all-new Hyundai Sonata is said to be 45 mm longer, 25 mm wider while the wheelbase has been stretched by 35 mm allowing for more generous room in the cabin. The car has also been lowered by 30 mm over its predecessor. The ultra-wide taillights also add to the wider appearance of the car. The cabin has also received a complete upgrade and sports a stealth aircraft inspired design for the wing-shaped dashboard. The dash and HVAC vents have been compressed in height to aid the lightweight feeling in the car. Hyundai has also avoid massive touchscreen systems that are otherwise the norm on all-new cars, which it says can be distracting. There are two smaller displays instead threaded together by a unique S curve. The car comes with mood lighting, while you get a host of new fabric and leather upholstery choices. The car also come with the first of its kind Near Field Communication (NFC) tech onboard. The tech allows you to lock and unlock the car with the help of your smartphone. More details on the platform, powertrain and efficiency figures will be revealed next month when the model makes its public debut. Keep watching this space for all the updates.